With its cutesy decor and dishtowel napkins, Sage General Store is definitely aspiring to be something–perhaps a country general store, as their website claims. It isn’t clear. What’s evident, however, is that their food and service are aspiring to be something and falling just short of making it. We started our brunch with some coffee, sweet tea, and cheddar biscuits. The coffee tasted bitter and required extra sugar. The sweet tea was okay–no complaints there. We accidentally ordered two cheddar biscuits. This turned out to be an accident because the biscuits arrived in the size of a baby’s head, with some butter on the side. We ate our way through one, wishing it was warmed by their brick oven that is obviously dedicated to pizzas-only, and took the other home. The biscuits had a crisp, crusty exterior and warm, cheesy interior. There was definitely a kick of cheddar in them. 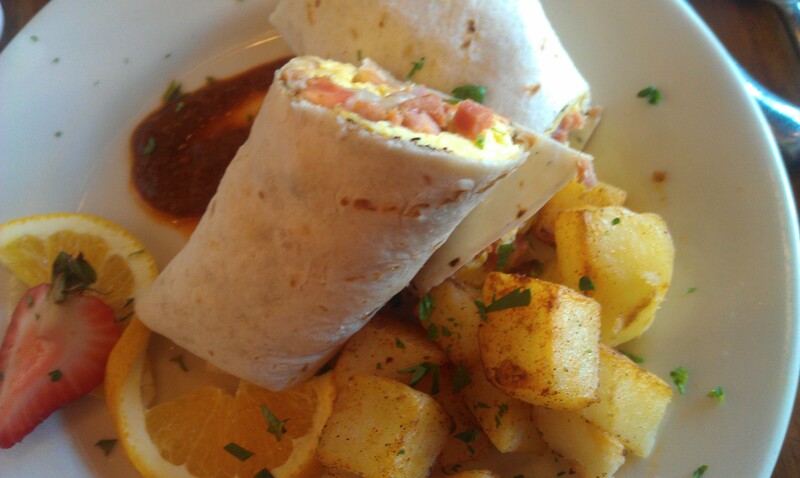 For my entree, I ordered the Ranchero burrito, filled with organic eggs, caramelized onions, ham, tomato, and cheddar. The potatoes on the side came out cold and lacked flavor. The burrito tasted fine–perhaps too ham-heavy for my taste–but needed something to distinguish itself as a burrito, said my dining partner. Hidden Valley Ranch, of course, would have been the ideal condiment to accompany my lacking burrito. HVR! HVR! HVR! Too bad there wasn’t a Hidden Valley Ranch party in my mouth. 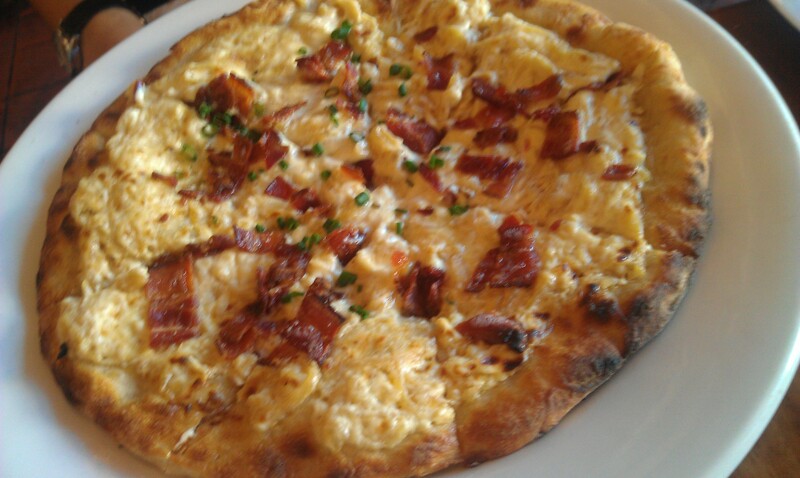 Sage General Store offers a bevy of pizzas as part of their brunch menu. My dining partner ordered the Wisconsin pizza, which was topped with Neuske’s bacon, caramelized onions, ricotta, and creme fraiche. To my surprise, the pizza was excellent. The crust was on the thin side and golden brown. The ricotta-creme fraiche combo definitely delighted the senses. It was delicious. A word about the service: My burrito came out at least five minutes sooner than the pizza did. I noticed this trend at every other table in Sage General Store. As my dining partner said, “They just bring things out here”–without any order or synchronicity. I didn’t like this, and don’t think you would either. Overall, Sage General Store is an okay brunch spot, but definitely do not go out of your way to get there. If you happen to be at MoMA PS1, you might try Sage afterward. Otherwise, stick to your trusted Manhattan reliables. Take the 7 train to Court Square and walk a few blocks.